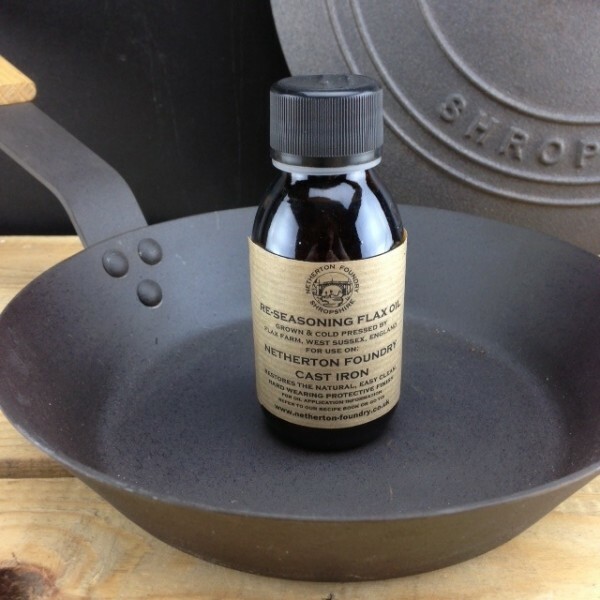 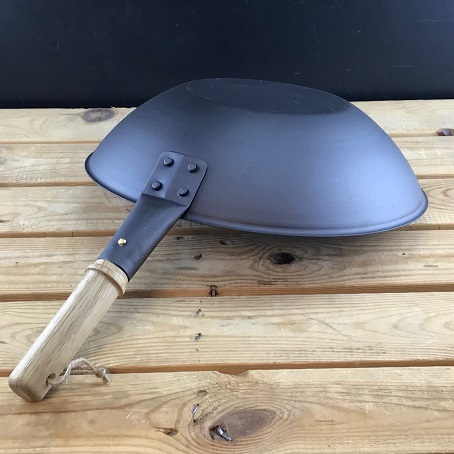 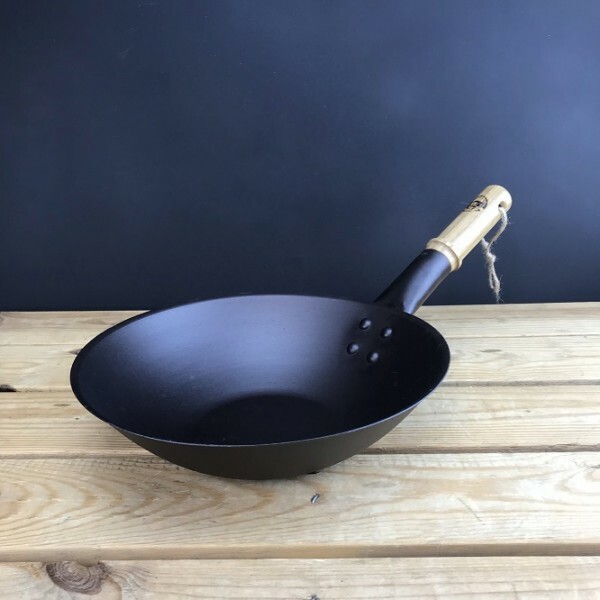 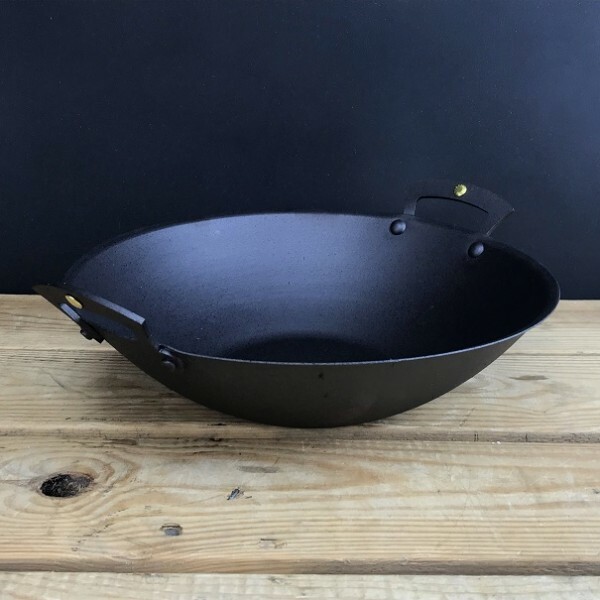 Durable 99.1% pure iron wok and lid with sturdy riveted handle. 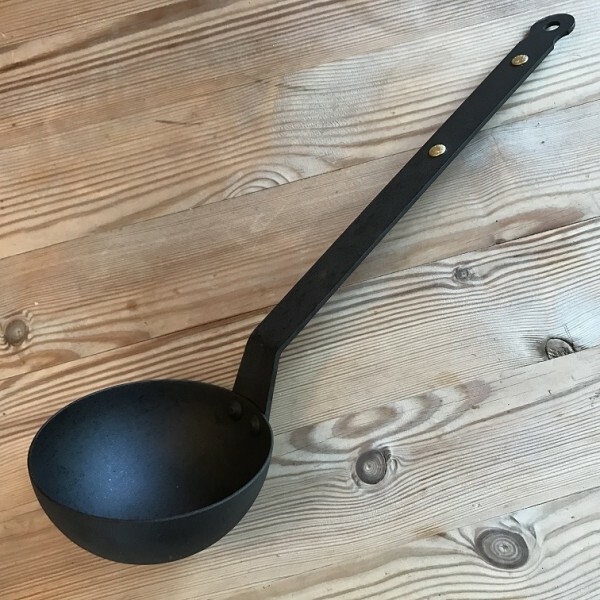 Hand made, British oak knob and handle with brass fixing. 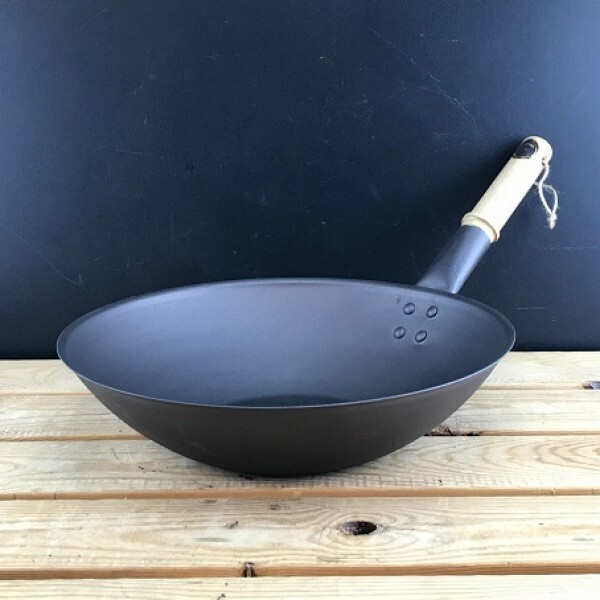 Weight of wok 1.07kg and lid 1.01kg. 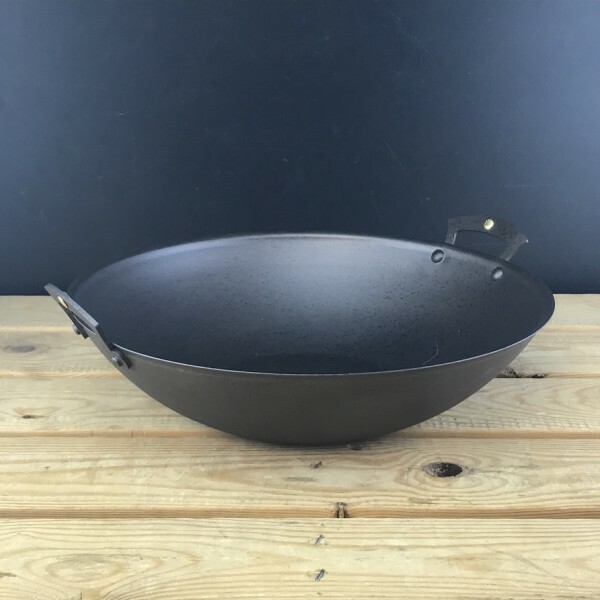 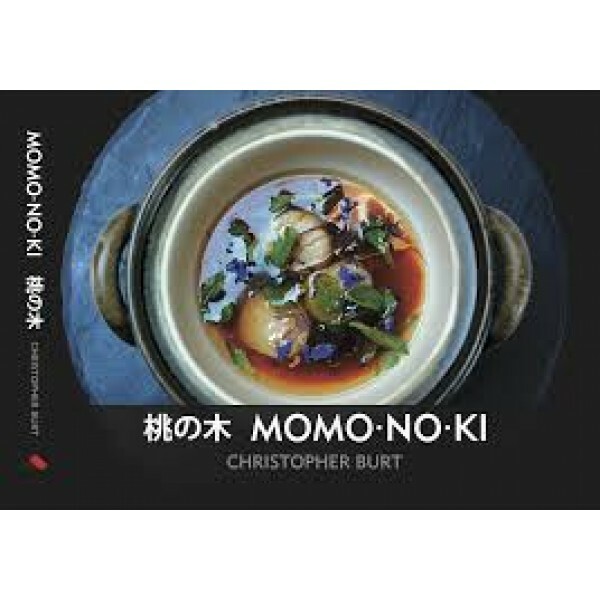 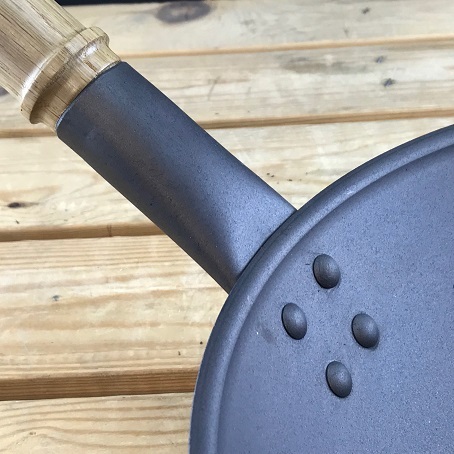 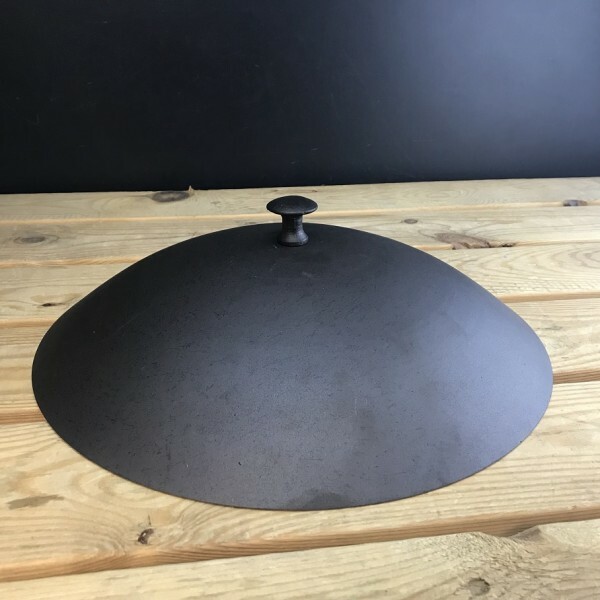 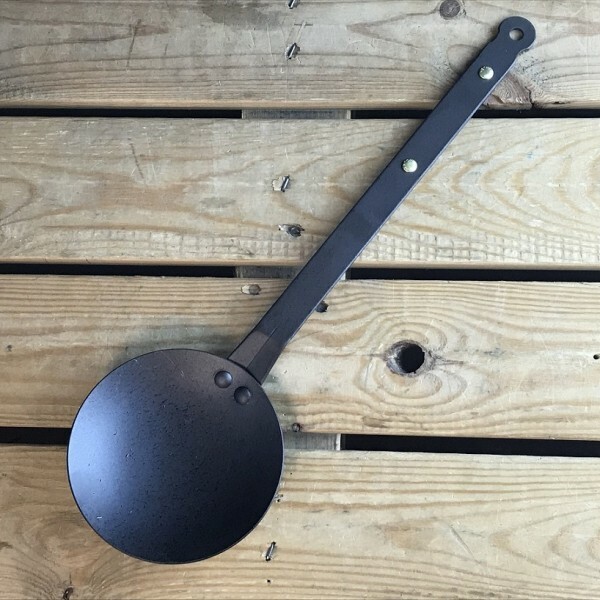 The wok lid is available a separately here.